From the Walt Disney Co. and American Express to Toyota and General Mills, large companies have long been reaping the benefits of employer-sponsored health clinics. However, what was once a privilege only to large private sector employers, employee health clinics are fast becoming a savings and wellness strategy for the public sector. 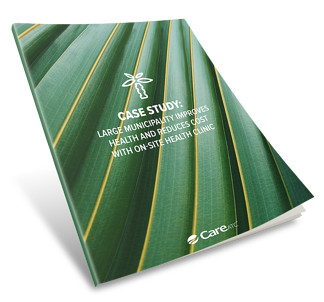 In this case study, we will examine the outcomes experienced by one large Florida municipality after partnering with CareATC – a national leader in work-site health and population health management. The City’s primary goal was two fold; positively effect the health of their members, and take back control of their health plan.